Clay Adler at the premiere of “17 Again” in 2009. Peter Gabriel was born in London on February 13, 1950. His mother taught him to play piano at an early age and Peter actually played drums in the first bands he was with. Flute, keyboards and song-writing are also among his many talents. While it’s never been quite clear how nominations or winners are determined — or for that matter whether it’s the performer or the nominated video’s director who is actually winning the award — MTV‘s 30-odd-year old Video Music Awards show somehow remains culturally relevant. On Sunday, in Glasgow, Scotland, the 2014 MTV Europe Music Awards (aka, MTV EMA) will be taking place. Hosted by the frankly magnificent Nicki Minaj, the broadcast will be greeted by much hoopla and online buzz. While it’s never been quite clear how nominations or winners are determined — or for that matter whether it’s the performer or the nominated video’s director who is actually winning this award, or that — MTV‘s 30-year old Video Music Awards show somehow remains culturally relevant. 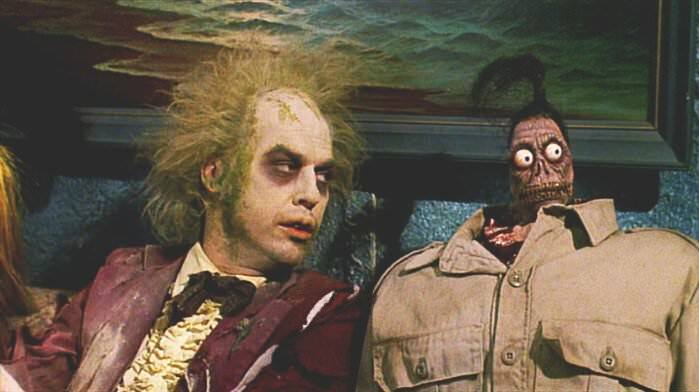 During a press junket for his newest film, a remake of the 1987 flick Robocop, actor Michael Keaton (PeekYou profile here) told MTV that he’s been in contact with director Tim Burton (PeekYou profile here) regarding a possible sequel to their 1988 cult hit Beetlejuice. Seeming to owe more of a debt to the melodrama and pouts and pecs of the insanely popular Twilight flicks — and their resident brooding werewolf — than to the popular, quirky 1980s Michael J. Fox vehicle from which it gets its name, MTV’s Teen Wolf has nonetheless, or perhaps as a result, proved to be quite popular with its target demographic (consisting definitely of teens, and possibly — we can’t say for certain — also of wolves).